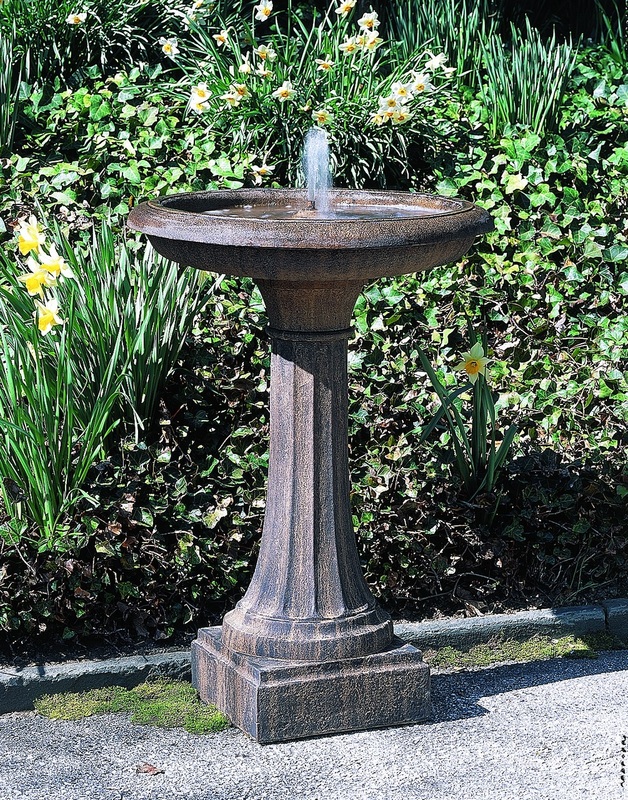 This is a classic pedestal fountain, simple and sleek in design. Place among taller foliage, or in the center of a stone patio to show off its column - like pedestal. The Longmeadow Fountain could be the finishing touch to your garden oasis. DIA 24" H 36" | 217 lbs.